Guerrilla Games is known for the Killzone series that's been exclusive to PlayStation systems for decades. It was a little strange a few E3s ago seeing such a different type of game coming from the same studio. 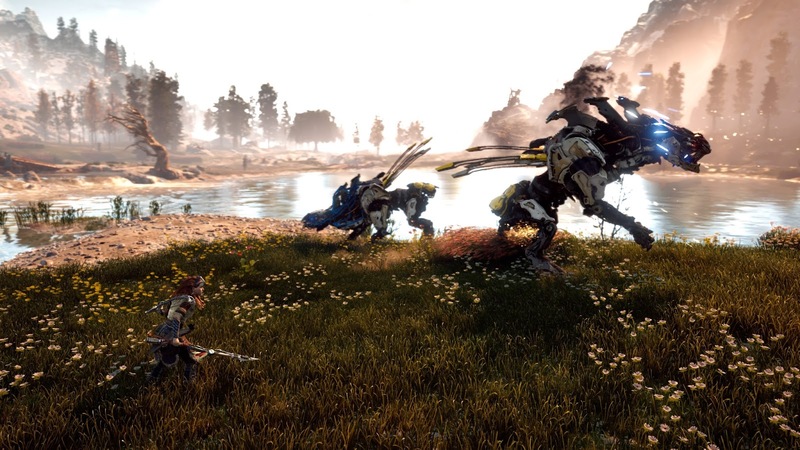 Horizon: Zero Dawn looked like it was going to be a graphical masterpiece and extremely fun right from the start. Now that it's out, it accomplished what the initial trailer showed. 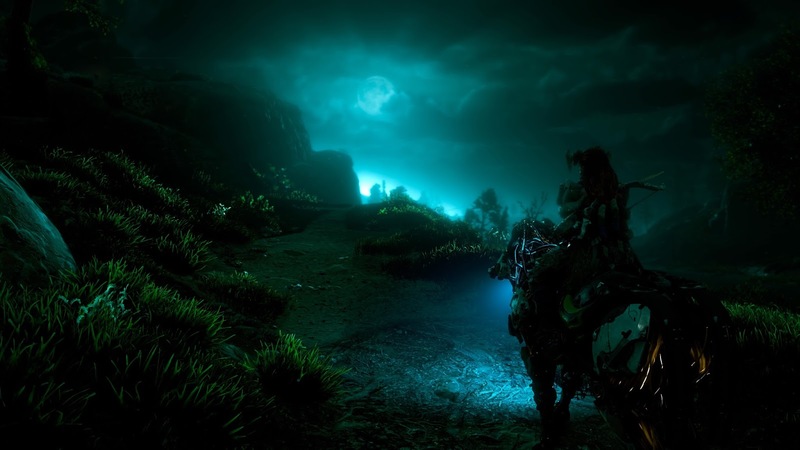 Horizon: Zero Dawn is set 1,000 years in the future. The world has been "reset" to a more primitive state. Humanity has resorted back to tribal beginnings and wild life is practically replaced with giant mechanical dinosaurs. 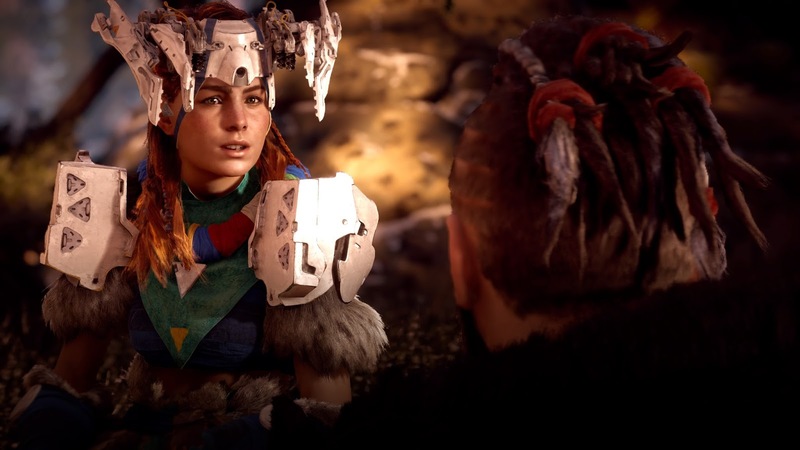 And the world is in need of saving with the help of Aloy, an outcast raised by another outcast named Rost. As Rost trains her to become something greater than an social reject and earn her place in society, she discovers a device called a Focus that enhances her perceptive by giving her the ability to interact with machines and older tech found throughout the world. The story gets a bit bumpy in a few places, which is a drag since the overall plot is good. There's several instances where you have to discover old ruins and find out how to save the world by locating text logs and holographic replays of key characters explaining what exactly went wrong in the 21st century. There were times where my mind wandered off listening to these predictable plot points unfold. Luckily, the story picks back up after these dreary areas and it's back to what we paid admission for: robotic warfare. Progressing the story pits you against bigger and badder machines to fight. Most of the boss fights are thrilling, dodging a charging robotic beast and sliding in slow motion with a barrage of arrows firing from your bow. The main story is worth checking out just to see what type of crazed metallic dinosaur you're going to encounter next. It's a familiar story told in most heroic tales, but at least it's predominantly entertaining. Battles in Horizon are a hit or miss. When the fights are good, they're strategic and sweat inducing due to narrow escapes and intense combat. But you'll run into some problems here and there which makes some of the battles unfortunate. One of the problems Horizon has going for it is the AI. It's a mess nearly all of the time. You primarily want to take on a foe using stealth, hiding in tall grass and luring them to your for a stealth kill. The stealth is still probably the time the AI shines the most, but still with flaws. There's been plenty of times I've stealth killed a machine right near another to have them completely ignore their friend drop dead inches away from them. Or going stealth through a base to have savage tribes ignore several dead bodies lying on the ground as you pick each one off. In one particular boss fight, I managed to easily trick the machine by filling the area with trip mines. I'm not sure what the problem was, but I took the boss out by shooting arrows into it's critical points over and over that ended the battle anticlimactically. It wouldn't be such an issue if it was a rare occurrence, however, it happened to me in almost half of the boss battles. Standing behind a crate would sometimes confuse the boss into firing at the wall behind me while I unloaded arrow after arrow into it until it decided to rush me. The machines in the wild are more fun to face, which makes up for some of the disappointing boss battles. When you're caught, they swarm you and alert nearby friends to come and join in the hunt. You can't easily slip away if you stay in the area. And if you run into a Glinthawk, it might be lights out unless you use a rope to tie them to the ground. Those things were the death of me more than once. The human savages you run into are a lot less intelligent. Guerrilla Games really captured the stupidity of tribal cavemen. They rarely run for cover and love getting right in the way of you swinging your weapon at another enemy. The machines have a little more grace and a will to survive. You can't escape fighting humans either. From the certain moments in the story to clearing out tribal camps to take over, you're going to run into some low level intelligence. And it's always disappointing. Camera issues caused me to die when clearing a few of those camps. 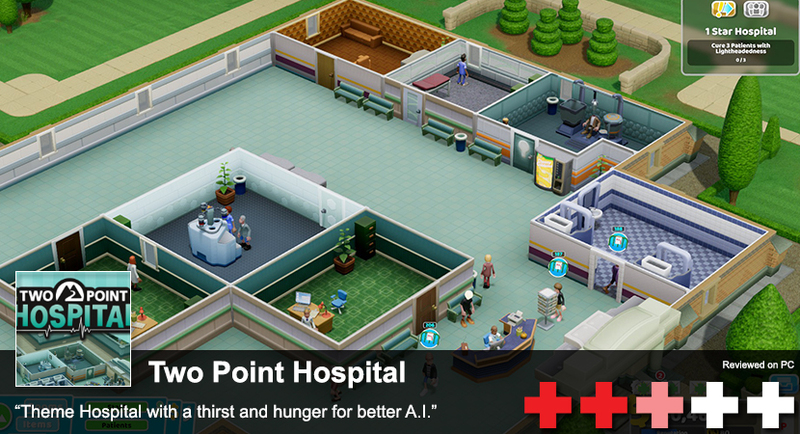 While the AI is brutal and brutally dumb, they can still pack a punch so a malfunctioning camera is fatal. The camera doesn't like to sit still in smaller areas such as caves or hiding in a house to make a kill. Sometimes the camera will bounce around and zoom into your character, which can cause slight confusion on where you are looking or going It's a bit disappointing since I haven't had to complain about camera issues in games for quite some time. When the combat does work, it works wonderfully. It's a third-person shooter and melee combat game that's easy and fun to play. And that's why we're really playing games, right? Fighting humans isn't a joy, but the machines are the bread and butter of the combat. All of the machines have weak points and attacks they're weak to. Some are weak to fire and strong to normal attacks, with a variations to their weak and strong points. If you're going to take one of the bigger machines out, you're going to need to make sure you're destroying their weapons from a distance and controlling the area with explosive traps. Even on casual, these machines can overwhelm you. Striking their armor plates enough will expose critical weak points. An example would be exposing a green explosive on their back after blasting off a piece of their armor. If you shoot it a couple of times with a fire arrow, you'll need to run back as it causes everything around it to burn after an explosion. It's violent eye candy. The open world theme in games has become a bit tiring for some gamers. 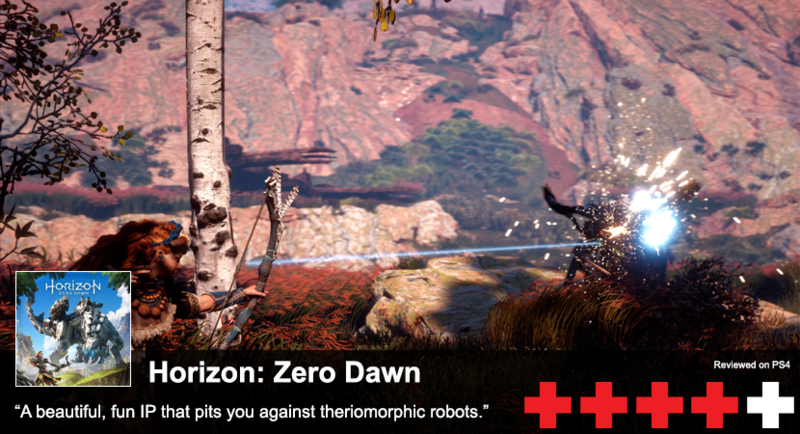 Horizon gets this right by creating variations in it's environments. There's areas that are dense forests, areas covered with snow, and American deserts. I must have stopped playing upon every new area so I could take a dozen screenshots. There's plenty of side missions and trials to bump your level or break up the story. But much like every open world game, there's a collectathon covering the map. One of the few problems I had with the actual gameplay came when looking for some of these collectables. The platforming and jumping isn't very fluid. It feels a bit broken at times compared to games like Tomb Raider or Uncharted. Because of the beautiful graphics engine and lighting effects, it's not exactly easy to find the path they want you to jump to so you can proceed climbing a mountain while playing after the in-game sun goes down. I fell down a variety of cliff sides jumping for a path that looked like it was available to scale only to watch my body tumble to the Earth below. If you haven't noticed by the screenshots or trailers, this game has a killer graphics engine. And it's pure witchcraft it's running on a PS4 or PS4 Pro with a steady framerate. Uncharted 4 still takes the cake overall, but the way light shines in this game is incredibly impressive. The first time I was roaming through the forest and night fell, I saw the moon bleed through the tree branches and it was marvelous. You want to stop and use Photo Mode (it's in game like most first-party PS4 games) and take snapshots of everything in the lighting. I know nothing about photography and ended up with an impressive array of photos. Almost every scene in this game looks like a work of art and hand crafted. If you have an HDR supportive TV, Horizon was built to show off your set. Horizon is a new IP that delivers a great experience right from the start and has a big budget feel to it. It's a perfect blend of an old and new world with combat and character creations that fit right in the mix. My overall problems with the game can largely be ignored due to this being Guerrilla Games' first action-adventure game and very different from their previous titles. And even if it wasn't a new IP, it's still a terrific game with a terrific graphics engine, great characters and a nice jump into a new world for gamers.